Are the usual ice cream flavours like vanilla or chocolate too boring for you? 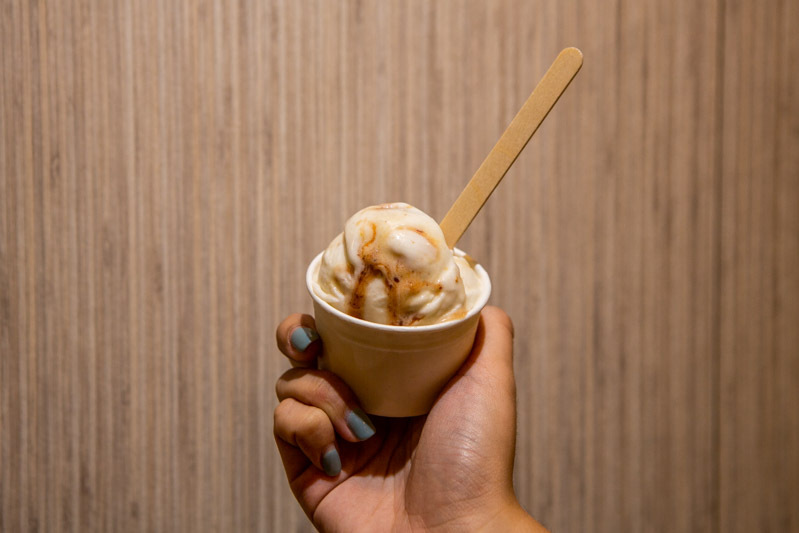 Head over to Tom’s Palette at Bugis for a unique scoop of ice cream! 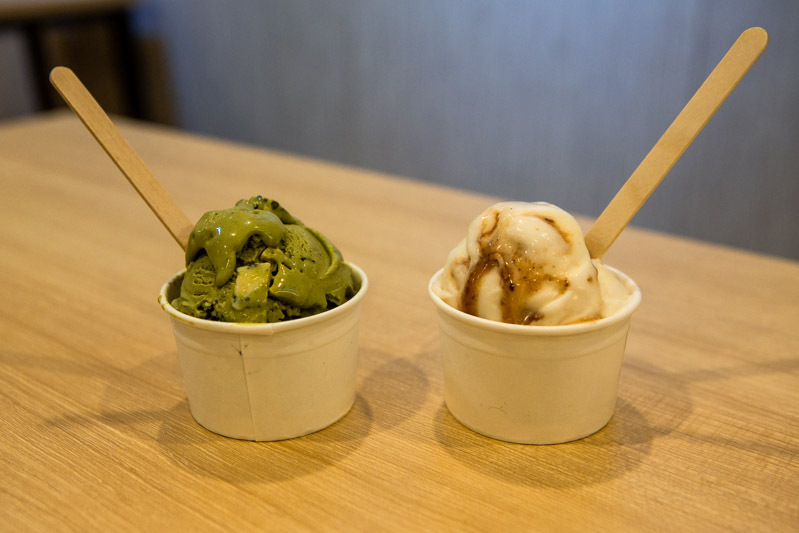 They’re well-known for their quirky and one-of-a-kind ice cream flavours. With flavours ranging from familiar but interesting ones like Salted Egg to unusual ones like White Chocolate Nori, they come up with a new flavour monthly. This month, they’re introducing an all-new Thunder Tea flavour (S$4 for 3oz, S$5 for 4oz)! I bet you’re wondering, what could something that’s slightly bitter and so herbal possibly taste as an ice cream flavour? Despite our doubts, the Thunder Tea ice cream blew us away. 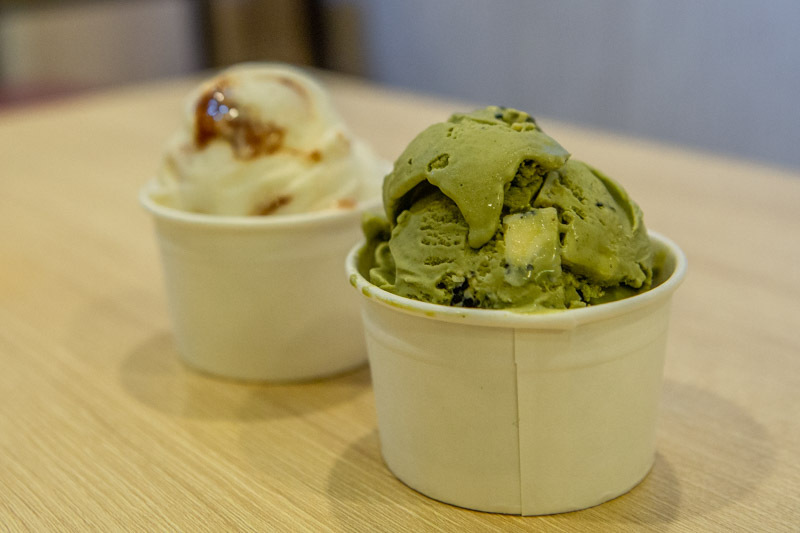 Tom’s Palette makes the ice cream with a matcha base, which lends it a green hue. They then mix in a combination of peanuts, black sesame and white chocolate. 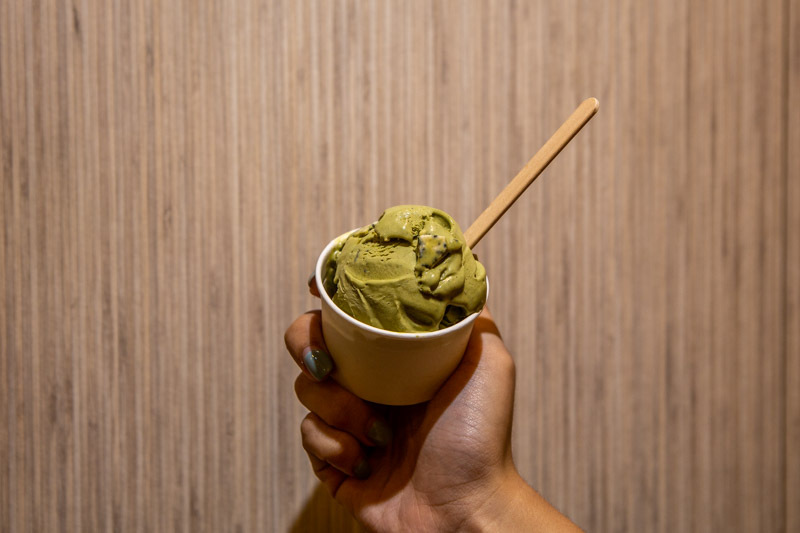 The matcha and black sesame gave the ice cream a subtle hint of bitterness, which is balanced out by the strong nutty fragrance of the peanuts. Not to mention, the chunks of white chocolate added a hint of sweetness too! While it had certain elements of the Thunder Tea Rice, we felt it actually tasted more like a tang yuan. Tom’s Palette is also rolling out a Salted Lime and Licorice Root flavour. This unique flavour had a very nostalgic zesty flavour which reminded me of sour plum juice. Additionally, Tom’s Palette is also bringing back the popular Chee Cheong Fun flavour! I wasn’t expecting the Chee Cheong Fun ice cream to actually taste exactly like my favourite dish. Nutty and sweet with a hint of salt, I understand why they decided to bring it back. These unique ice cream flavours are only available on certain days of the week. So hurry up and jio all your adventurous foodie friends for some unbelievable desserts! But a bon vivant food aficionado.